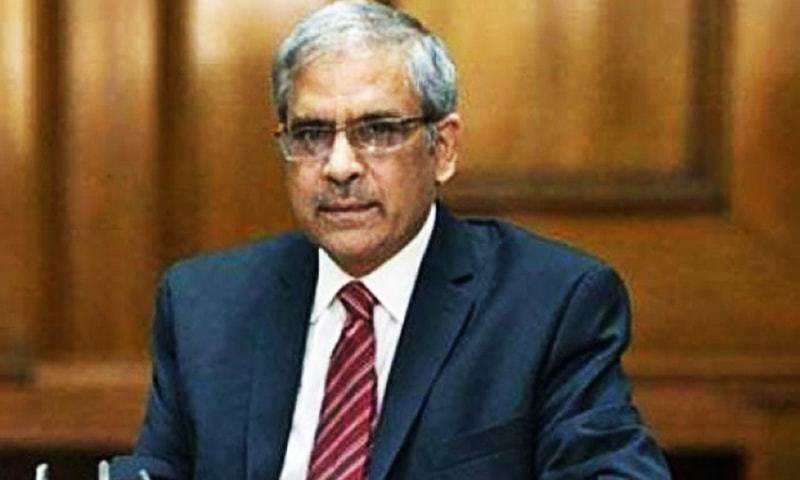 KARACHI: The economy is set for a “calibrated moderation” as the country seeks a bailout package from the International Monetary Fund (IMF) to avoid a hard landing, State Bank of Pakistan (SBP) Governor Tariq Bajwa said on Monday. Addressing the Pakistan Economic Forum held by Bloomberg LP, Mr Bajwa said a general agreement already exists between Pakistan and the IMF about the overall policy direction under the forthcoming bailout package. “The differences are only in the timing and pace of stabilisation policies,” he said. Pakistan formally sought financial assistance from the IMF last October as its dollar-denominated payments for imports and international debt servicing started depleting foreign exchange reserves. 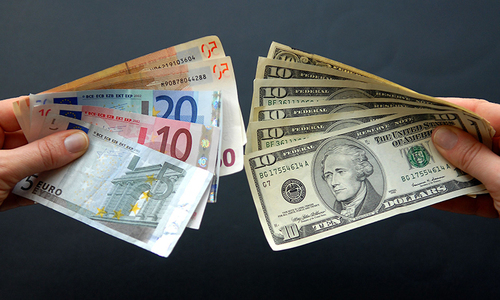 But the long-drawn-out negotiations with the IMF remain inconclusive, fuelling speculation in the foreign exchange market. The governor expressed hope that the current account deficit would further narrow on the back of a deceleration in imports of goods and services coupled with high workers’ remittances. The deficit decreased by 72 per cent in February on a year-on-year basis, a welcome development that shows the devaluation of the rupee by 31pc since Dec 2017 has yielded some benefit to the balance of payments. “Like any stabilisation exercise, the economy must brace for initial slowdown before getting back on the recovery track,” the governor said. He also highlighted the fact that despite overall monetary tightening, mark-up rates on export finance facility (EFF) and the long-term financing facility (LTFF) continue to be at a 10-year low to incentivise export-oriented sectors. But exports are still not growing. In fact, they registered a month-on-month drop in dollar terms in February. Mr Bajwa said exports were flat because of the ‘global headwinds’. Noting the exchange rate adjustment coupled with monetary tightening by way of a 450-basis-point increase in the key interest rate, the governor said the focus of fiscal policy has been “hard to shift”. “While economic growth is slowing down which, in turn, is hurting revenue growth, many of the government’s expenditures are non-discretionary in nature, especially debt servicing and the increase in defence expenditure,” he said. Defence expenditure is estimated to be Rs1.675 trillion in 2018-19 against the Rs1.1tr budgeted in September last year. In contrast, the Public Sector Development Programme is going to be Rs575 billion as opposed to the original estimate of Rs800bn. 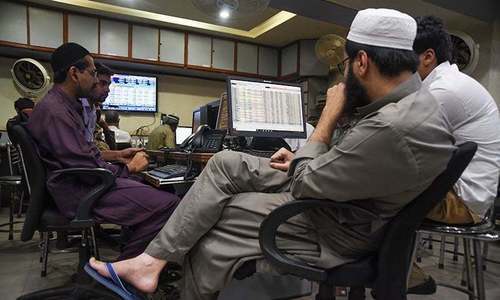 Speaking on the occasion, Finance Minister Asad Umar vowed to remove the withholding tax on cash withdrawals from bank accounts for non-filers of tax returns in 2019-20 – a move aimed at bringing down the cash-to-deposit ratio (CDR). Referring to a survey, he said 85pc of Pakistanis believed mainstream banking was not in sync with their religious beliefs. But the reason Islamic banking hasn’t grown to become as big as its conventional counterpart, he said, was the “anti-Islamic banking mindset” of the finance ministry. “The finance ministry has no problem in borrowing money from conventional banks at Kibor plus a significant premium (because it is) convinced that these Islamic banks can’t place their additional liquidity in profitable investments. Therefore, you must borrow from them at sub-Kibor rates. This is called cutting off the nose to spite the face,” he said. He exhorted businessmen to create wealth and become so rich that their names should appear in Forbes’ list of the richest people in a few decades. Taking part in a panel discussion held after the departure of the finance minister, noted businessman Arif Habib expressed concerns about the indecisiveness of the government on key economic issues. “I expected that the finance minister would speak about the exchange rate policy, interest rate policy and share with us the status of the IMF programme. Investors are holding back (funds) because of the uncertainty on these three counts,” he said. I want to know why the trade deficit is reduced and why the balance of payment is improving. When export is not increasing than are we relying on foreign remittances only? And if we have stopped importing machinery than did we start producing it locally? I would rather take this improvement with a pinch of salt as it looks too sugary. In the last year of PMLN govt. forex $17 Billion,Stock market trading at 55000pts,all time high credit ratings by Moodys,S&P and over 6% growth. Political engineering and everything comes down crashing.We need you Mian Sahib and Ishaq Dar !! 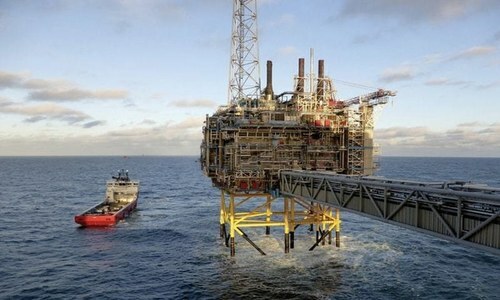 Your CPEC payments are due in 2020.If in case oil prices start increasing then it will be difficult.Right now most amount in reserves are 'good news' from friendly countries and differed payments.With China slowing down will effect entire world economic growth.Not to forget FATF grey list. He did not mention about trade deficit and deferred payment of oil to the Saudis. Till now there is no gain from devaluation as growth of exports stagnant, (with export subsidy) to be precise it's negative. Industrial output is negative. Devaluation has negative impact on agriculture as most of the chemicals r imported. And he is giving economic statement before trading community. Only way out is to bring back the looted wealth. Is Tariq Bajwa serving SBP with honesty? His political affiliation should be checked. Is he and his team serving Pakistan selflessly? USD will hit 155 PkRs in July. Mark my word. '"Asad promises to scrap WHT on non-filers in next budget" Why this defeatist and defensive approach? Why doesn't he says that the non-filers will be brought in the filers net? What's the purpose of calibrated moderation when the economy has slowed down on it's own. What is the monetary goal of the Pakistan State Bank? The SBP governor counts increase in military expenditure as non discretionary? Really? @Hafeez, It's almost impossible to bring back looted money. Indian govt. had tried on it and given up. A brother in need is a brother indeed. @Anwar Saleem, Really, you still need Dar. Doesn't looks like he needs Pakistan since he is chilling in London running away from cases and you will be bearing the burden of all the mess he has created with the help of his samdi ! The fundamentals of the Pakistan's economy are in a messy state due to the confusion in the governmental circles. Defense increase from 1.1tr to 1.7tr that's about half of the revenue, isn't it? Are we allowed to say something. Why Pakistan Economy is not brought under CPEC like many schemes included during PMLN? @Life, Kind of agree with you but your assumption of importing machinery is based on what ? I believe the imports of luxury products have decreased which should have contributed in reducing trade deficit. The entire real estate and construction has crashed, rendering many jobless. I wonder if the money is stopped to circulate how are they amassing revenues. Pakistan is in a spot right now. IK understands deep engagement with Chinese for CPEC has turned into a debt trap even though the debt repayment has not yet started. Pakistan was not ready for such mammoth infra development on borrowed money. Pakistan has to develop the institutions first that will boost economy on sustained path and then take these development activities. Wonder what the situation will be once the repayment starts. I think it’s high time Pakistan government starts exploring viable export destinations like India rather than living in past and self denial. Reduce in GDP rate is due to less expenditure in PSDP and higher than allowed expenditure in Defense sector?. The same is admitted officially ?? "Defense expenditure is estimated to be Rs1.675 trillion in 2018-19 against the Rs1.1tr budgeted in September last year. In contrast, the Public Sector Development Programme is going to be Rs575 billion as opposed to the original estimate of Rs800bn." 72% decrease in deficit in February can be the effect of import of petroleum from Saudi Arabia and UAE on credit. There has been no increase in exports. Economy does not work on promises but on figures, Although i am not an economist but one thing for sure that figures indicate something different..our biggest problem is selective economic and financial privileges for certain class only...and they even evade the taxes and most of the time the borrowed money is written off. we need more people in the tax bracket. well known fact that advancing equal opportunity and economic empowerment is both morally right and good economics, because discrimination, poverty and ignorance restrict growth, while investments in education, infrastructure and scientific and technological research increase it, creating more good jobs and new wealth for all of us. Indeed many individuals are doing what they can. But real success can only come if there is a change in our societies and in our economics and in our politics and our mind set to be pakistani and buy pakistani..good luck..
Next to your Door is butter and searching for Ghee everywhere...you will end up like searching for water in a desert if you don't realise soon..Good luck. Foreign exchange reserve is going down calibratly, exchange rate is going down calibratly, inflation is going up calibratly, foreign debt is going up calibratly, un-empoyment is going up calibratly and economy is cooling down calibratly. @Anwar Saleem, No we dont. Thank You! In simple wording - rupee is going to further depreciate in the band of 150-155 and inflation is going to be in the range of 10-11 per cent. Public sector spending decreased by 20% while defense expenditure increased by 33% says the whole story. Can IK clarify whether IMF loans are needed or not? IK said sometime ago economic crises is over and same was said multiple times by Asad and who has said IMF loans not required. Seems too much confusion at top level which clearly shows as IMF discussion is going on for 6 months.